Whether you're a linux hobbyist, you run an enterprise data center, or are just curious about free and open source software, you're welcome to join us. Linux is the excuse, open source is the reason. 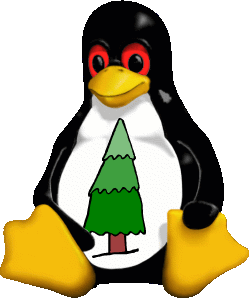 We cover, in addition to Linux, all manner of applications, BSD, Mac OS X, and anything else open source. Please come to a meeting (the first Thursday of every month) or contact Lloyd Kvam for more information. Vermonters and BSD users are kindly welcome. Be sure to check the latest on the announcements mailing list for updated meeting information. Have a look at the list of future topics. A list of what we've done in the past with links to associated downloads. We have mailing lists for announcements, discussion, and local SIG's. We have a library of books available for loan to our members. DLSLUG is made possible by generous contributions from our sponsors. See a map of where our members come from.